The official iOS 12 release date is next week, but you can download it now. Apple just revealed that the iOS 12 release date is September 17. Any iPhone or iPad that’s capable of running iOS 11 can upgrade then. But you don’t have to wait. Anyone who’s part of Apple’s beta program can get the Golden Master right now. 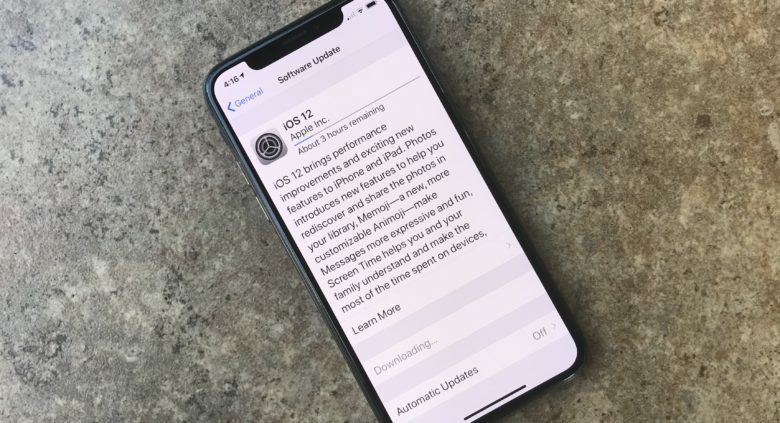 Apple unveiled iOS 12 back in June at its WWDC, and has been allowing the public to beta test it all summer. Millions of people took Apple up on its offer and have been playing around with the new features for months. Previously, installing the beta came with the risk associated with running pre-release software: bugs. That changed today with the release of the Golden Master to people in the beta version. The Golden Master is the version that will be available to everyone next Monday. Getting it now just requires joining the beta program. Doing so is a snap. We wrote a handy how-to guide, but there are only about 4 or 5 steps to go through. No one has to go through this process, though. On Monday, the iOS 12 update will be available to all and sundry. But joining the beta program now means you can stop wondering about this new version and start enjoying the benefits. And there are plenty of benefits. Possibly the best of these is a performance improvement. iOS 12 is more efficient than its predecessors, and the older your device is, the greater the speed increase you can expect. Anyone who wants the easy route just have to wait until September 17 to get these new features. That the official iOS 12 release date. Those who just can’t wait can download it right now, though. It is the same version either way.